Showcasing how CLN developed from a two-employee company soon after the end of II World War to an international player in the steel business. Mario Magnetto and Anna Reinaudo at the very beginning of their marriage and entrepreneurial adventure. In 1948, Mario Magnetto (1919-2002) gives birth to his first steel company called MAFEM (Materiali Ferrosi Edili & Meccanici) in Turin, which deals with the processing and trade of sheet metal. The company has two employees besides the owner and his wife, Anna Reinaudo, who takes care of administration. Years after its birth, activities begin as Service Centre for trade and processing of coils for leading manufacturers of household appliances. Staff size grows from 22 to 38. The main supplier is the Italsider-Ilva Group. Mario Magnetto with his iconic bicycle at the Caselette plant years later the foundation in 1967. CLN Sas (Coils, Lamiere, Nastri) starts out with 500,000 Italian Lira share capital. The activity is transferred to the new plant in Caselette, Turin. Months later it changes its business vehicle into C.L.N. S.p.A. with a 1,000,000 Lira share capital. The international development strategy starts, giving birth to a chain of alliances that today makes CLN stand out as one of the world’s leading steel processing groups. The joint ventures with two Japanese giants - Sumitomo and Mitsubishi – for the supply of hot rolled coils are defined and signed. During the same period CLN became the major client of the French Group Usinor for flat products (Usinor became Sollac in 1990, then Arcelor in 2002 and ArcelorMittal in 2006). Mario Magnetto makes important acquisitions in Italy in stamping vehicle components and panels business. CLN starts working with current ArcelorMittal, the world's leading integrated steel and mining company. M.A.C. (Metallurgica Assemblaggi Carpenterie) is set up in Turin and later becomes one of FIAT’s main suppliers. Sollac Group enters into CLN with a minority shareholding (35%). Mario Magnetto inaugurates a new 4500T press at Cascine Vica in 1995. CLN Group acquires Fergat in Rivoli - Cascine Vica in Turin. MW Italia is set up. CLN acquires CMR in Rho in Milan. CLN acquires Ferrero A&C in Buriasco. CLN acquires Gianetti Ruote in Ceriano Laghetto (MB) near Milan. The OSL plant opens in Melfi for the stamping and assembly of passenger and commercial vehicles produced by the Fiat Auto Group. Among the many successes, Mario Magnetto is nominated Cavaliere del lavoro (Order of Merit for Labour) by the President of the Italian Republic. CLN opens a new plant in Alpignano (Turin). Magnetto starts negotiations with Sobieslaw Zasada Centrum Company to buy the Fabbrica Veicoli Speciali’s majority shares. CLN opens new stamping facilities: one in Polonia (Kielce) and four in France (Villers-la-Montagne, Reims, Beauchamp and Aulnay). Magnetto concludes a contract with Heuliez Group in order to acquire a new plant in Lorenza. CLN acquires Dunlop Roues (Tergnier, France) from Grupop. MW France is set up. The former Fiat stamping department built in 1973 and then sold to MA in 1998. CLN acquires MDM of Pontedera (formerly Piaggio). CLN gets into OVM-Iveco Brescia. Delfo Polska (now MA Polska) is set up. CLN acquires 40% of ICL. MA Automotive Brasil is set up. CLN acquires the stamping unit by PSA Group in Palomar that will later became EUROSTAMP Argentina. The Group opens a new EUROSTAMP plant in Brazil. MW Romania joins the Group. Start of business partnership with Topy Industries Ltd.
MA Automotive Argentina is set up. MA and Coskunöz - Turkey - form a joint venture in Bursa setting up the Coskunöz MA Otomotive for stamping and assembly automotive components for Renault and Dacia. CLN opens a stamping plant in Biache-Saint-Vaaste, close to Lille, France. MA France is set up. CLN acquires Roti Auto in Dragasani, Romania. An automotive component stamping plant opens in Saxony for German and Czech Customers. MW Lublin is set up. CLN acquires a minority partnership of OMV, which produces different welded carbon steel tubes for automotive and motorcycle. Topy Industries Ltd acquires a 2.5% stake in MW. MA and JBM - India - sign a joint venture. The JBM MA Chakan facility stamps and assembles inner and outer parts for Fiat, Tata, Volkswagen passenger cars and Mahindra vehicles. MA and Proma Group (Italy) join forces. MA South Africa joins the Group. Start of wheels production for the Aftermarket business. CLN acquires a minority partnership in Cellino and join forces in the production of components for heavy transport and earth-moving equipment. CLN buys an additional 1% of Nuova Sall’s shares. MA and Proma Group set up a company called PMC Automotive. MA acquires August Lapple South Africa Ltd. and its subsidiary ALSA East London. MW Italia increases its participation in MWPT, gaining control of the company. MW Italia acquires the Japanese company Excel Rim as well as 55% of stake in Excel Rim sdn, Malaysia. Jantsa and MW sign a joint venture agreement to produce steel wheels in a plant in Aydin, Turkey (JMW). MW Aftermarket is set up. A new plant for automotive components stamping plant is built in Kragujevac - close to the new FIAT plant - and in Aydin. MA and FumisCor (Argentina) join forces and sign a joint venture, FaM-MA. MA signs an equal agreement with Beijing Shougang Metal, owned by Shougang Group Corporation. WM Automotive is founded in Kingisepp (Russia). Merger agreement between Wagon Automotive (acquiring) and WM (incorporated). MA acquires full control of Nuova Sall. MA Automotive South Africa deliberates a capital increase equal to 208.6 million of Rand. MW and Baosteel form a joint venture — Chongqing Baosteel-MW Wheels — and a new steel wheel plant in the Chongqing province of China. MW buys the remaining 30.5% of MWPT’s shares. MW Italia sells MW Wheels to MA. A new Japanese partner for the Group. Marubeni-Itochu Steel becomes CLN’s equity partner with a 10.45% stake. CLN founds a new company in Poland called CLN Polska. CLN with Prorena Canessa achieves control of Delna. IFC (International Finance Corporation – World Bank Group) makes a capital increase of 20 million of Euro in MA South Africa, acquiring 23.85% of its social capital. MA sells 40% of MA do Brazil’s shares to Unipres Japan. MW establishes a subsidiary company in Mexico as a joint venture with Topy Industries Ltd (TOPY 75%, MW 25%). Gianetti Ruote transfers its Aftermarket wheel sector business to MW Italia. CLN buys the remaining shares of Prorena-Canessa and ITLA, and further 16.1% of Delna’s shares (69.7%). CLN sells to Prorena-Canessa 48% of Metaltranciati. CLN takes over GRB company (now MFB). CLN completes the acquisition of Algat Industries plants (now MFB). CLN sells the Aircom US holding. MA and Unipres partnership becomes AGP (Alliance Growth Partner) by Renault-Nissan. MA inaugurates its new plant in Berlin, in South Africa. MA sells its 35% participation in Proma Poland. SIMEST endorses and pays a capital increase of 5 million of Euro in MA. Venturing into the future of mobility. CLN issues a bond with a nominal unit value of 100,000 Euro and a seven-year tenor. It is officially listed on the Irish Stock Exchange. CLN and ArcelorMittal CLN Distribution Italia (AMDSI) give birth to ArcelorMittal CLN Distribuzione Italia. CLN acquires 20% of share capital of BeonD, a e-mobility start-up. The new Mexican plant is a reality. Start of operations for Topy MW Manufacturing Mexico, a joint venture between Topy Industries (75%) and MW (25%). MW Italia sells the majority stake in steel wheel manufacturer Gianetti Ruote to Accuride Corporation. The MW Laboratory receives accreditation according to ISO 17025 for wheels validation. MA absorbs MAC and Wagon. MA Argentina (Palomar) is transferred to PSA Argentina. CLN acquires 80% of MIM Steel Processing (Germany). A even closer relationship with Topy Industries. Topy Industries and MW Italia sign a new business and capital alliance. Topy achieves a shareholding in MW Italia equal to 14%, whereas MW Italia achieves a 1.53% shareholding in Topy. TO PROVE LAB is the new brand that makes MW Italia shows up on the testing services market. 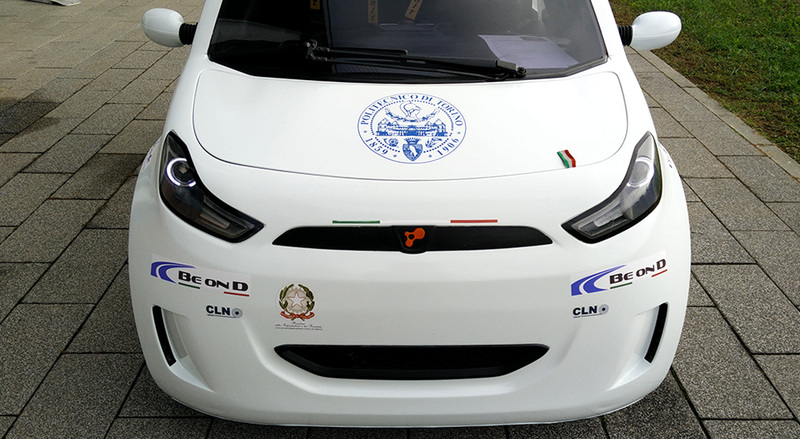 ITLA makes a joint venture with Giuseppe & F.lli Bonaiti, becoming ITLA Bonaiti. MW Italia acquires the Condove plant by Lucchini Spa. MW Italia sells Excel Rim to RK Group. CLN sells San Polo Lamiere to ArcelorMittal CLN. CDP and IFC finance CLN with 134 million euros to support the international growth. SIMEST pays a capital increase of 3 million euros in MA Automotive Argentina S.A.
SIMEST invests over 19 million euros to support investment plan. Sale of MA's participation (50%) in JBM MA Automotive Pvt. Ltd. to Neel Metal Products Limited. MA Automotive Portugal is set up.